Who Needs a Forward-facing Stair Lift? The forward facing stair lift is ideal for individuals with back problems and spinal issues who require more room on the landing. The forward facing lift is ideal for straight staircases with a seat that is 15 inches wide and swivels 180 degrees at the top landing for safe on and off.The forward facing lift will help you move about your home more freely in a comfortable seating position. Indy Stair Lifts, the division of Nationwide Lifts that is a leading provider of home elevators and stair lifts, offers a variety of stair lift models that are available in the forward facing format. 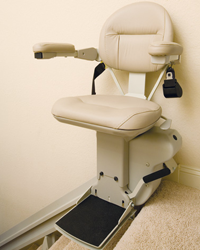 The Indy Pinnacle model is 11″ wide, the narrowest stair lift available that fits comfortably in all staircases. The entire system weighs 180 pounds, including 16 feet of track and comes with safety applications, including safety sensors that stop the lift when it meets an obstruction and indicator lights for easy operation. The Indy Lux model has a 400 pound weight capacity that conforms to any body type, with multiple seat heights and a large seat size with adjustable armrest. It operates with 12-volt batteries and a plug in for your household outlet. It installs within six inches from the wall, leaving room for guests and family members to climb the stair and the seat swivels at the upper landing, offering easy and safe exit. Our forward facing lifts are designed to assist people with chronic back pain and stiff knees who can sit with their legs outstretched. This is preferable to a conventional stair lift that faces sideways and won’t allow individuals to extend their legs while using the device. With a forward facing stair lift in your home you can move from floor to floor comfortably and get to all rooms in the house, from the kitchen to the laundry room. Contact Indy Stair Lifts at 888-203-5754 for more information on forward facing stair lifts. 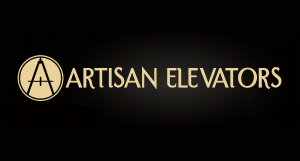 Our trained professional staff will visit your home to measure your staircase and install a forward facing lift, which may be just the thing you or a loved one needs for added mobility.